Home RTM Blog Sales Ready for 2019? That time of year has come again, when the time to hit those year-end results is almost over. However, for many the end of year results might not hit the anticipated heights set at the beginning of the year. 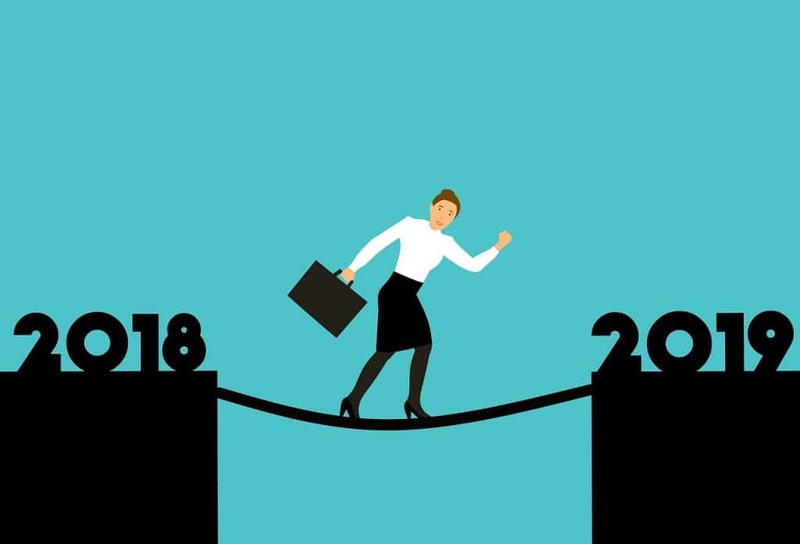 Driving a result in the last month of the year in order to achieve your targets can mean hitting that panic button and possibly delving into that precious pipeline set up for Q1 next year, whether it means closing these early or perhaps burning and pushing them out to a later date. Either way it could mean starting the new sales year with a much lighter pipeline. This has an impacting effect as December comes nearer an end, it then becomes more challenging to replace and replenish that critical pipeline. We have all been in that position “yes get back in touch early in the new year, we will move forward then, once December is out the way”. The realists or maybe the cynics know fine well that this means it will be at least the end of January or possibly even February before you get a chance to progress this opportunity. In fact, before you know it you are half way through Q1 and you are just getting the chance to speak with these prospects, meaning your sales pipeline, your funnel Is not looking as positive as you thought. Does this sound familiar? So what do you need to do? Well here are a couple of suggestions. The most vital step is to plan ahead and avoid falling into the same trap as the previous year. Make sure this time round you have plans in place ahead of time allowing yourself that added security and safe in the knowledge that you have a flow of quality opportunities coming along in the future at a sales ready stage. Make these plans now, don’t wait or hold off until a “better time”, this will never come. Start to get a campaign strategy in place, ready to begin as early as possible, ideally starting right now or early in January. This gives you the advantage to get your year off to as good a start as possible. This might not mean leads flooding your inbox in the first couple of weeks, this could mean just building up that correct buyer persona until they are ready. The ideal is a steady flow of sales ready opportunities coming to you throughout the first quarter and beyond, allowing you to focus on those ready to close. Careful planning is vital to ensure the strategy is correct for both the organisation and the buying market. If the planning of a demand generation campaign is not done correctly it can be detrimental to the full sales and marketing process. This then heaps more pressure on the business to make up for lost time and opportunities, leading back to the initial challenge. Many potential clients have come to us for help in this scenario and there isn’t a quick fix to fill the hole in the sales pipeline. When putting together a lead generation campaign to increase your 2019 sales pipeline, remember it is a 2019 sales pipeline, not January/February Sales Pipeline. Consider the best Route To Market and understand how your buyer personas buy. Are they more likely to respond over telephone, online or over email? Once you know this, take time to understand their needs, their requirements, their likes, their dislikes. These well nurtured prospects are the ones who will appreciate your patience and your knowledge of their challenges, which at the same time allows rapport to be built with prospective buyers. The strategy of picking up the phone and trying to close as many opportunities as possible as quick as you can no longer works and is why come year end the pipeline is dry and targets fall short. In particular with larger or more complex propositions and targets there needs to be more patience and more finesse. It is about making sure the quality of your pipeline is where is needs to be and you are only talking about closing when buyers are ready. Quick win ideas and solutions only turn around poorly qualified opportunities or turn off good prospects. This is not something all sales professionals have time for, which Is why they turn to highly trained sales and marketing teams and organisations to support with this strategy. Many teams and organisations are targeted with a number to achieve over a space of time, however numbers dilute quality and have a propensity to waste sales professionals time and money. The longer term strategy based around quality leads to more successful sales people, teams and more importantly targets being achieved.